One of the most beautiful cities of Rajasthan is going to witness the wedding of Priyanka Chopra and Nick Jonas, the royal palace of Umaid Bhawan Palace of Jodhpur. Why is this palace so special, know everything about its strengths? 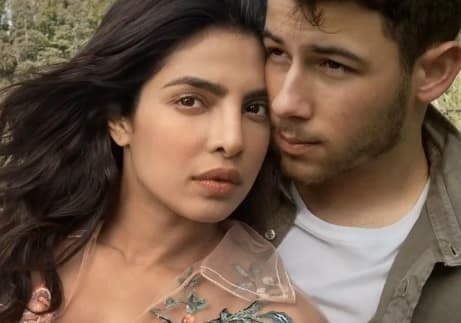 The talk of the marriage of Priyanka Chopra and American singer Nick Jonas is being discussed as much as the marriage is being done for both of them. The royal palace of Jodhpur is going to witness the marriage of both the Umaid Bhawan Palace. We are telling you about the royal things of the palace. Nick and Priyanka have chosen Umaid Bhavana Palace, the royal palace of Jodhpur for their wedding venues. This palace is not only the architectural royal but guests who are here also get the Royal Feel. During the 2016 survey, this palace has been described as the best hotel in the world. According to a report, wedding night wedding weddings will cost Rs 43 lakh for marriage. According to the news, all the events of marriage will run for about 6 days i.e. the total expenditure will come to about Rs.3 crore approx. It was informed in the past that the assembly building is being decorated with 3D lighting for this marriage. The most remarkable thing of Umaid Palace is that the same stones have been used to build this palace, which is situated in the Taj Mahal of Agra. There are 22 rooms and 42 suites in this palace. Apart from this, there are family museums, banquet halls, libraries, ballroom indoor swimming pools, tennis and marble squash courts. You can spend up to Rs 34,000-5 lakhs for a room in this palace. Jodhpur's royal family lives in one part and one part is open to the public. If you are interested in the Royal Wedding, this castle is a perfect wedding destination for you. What Extra Should I Know About Umaid Bhawan? Umaid Bhawan Palace-Museum In 1877, Queen Victoria Raja Maharaja Jaswant Singh has been depicted a very large symbolic flag given by Queen Victoria, which is a collection of clocks in the shape of windmill and lighthouse, and pictures of the castle's elegant decorator Interior. The Maharaja's classic cars are also displayed in the garden in front of the museum. Information on glass, porcelain, memorabilia, and construction of the castle is also part of the demonstration. Part of the museum, in Darbar Hall there is a considerable number of collection of elegant murals and miniature paintings, armor, and household items since the 1930s. It will be very pleasant to see how the beauty of Priyanka Chopra and Nick's wedding will be.